The quarterly statistics released by the Ministry of Justice show that it is taking nearly a year for cases to go from issue to trial (in multi-track and fast track cases (over £10,000 in value). Another reason to mediate today and avoid delay. There was an average of 51.9 weeks between a fast or multi-track claim being issued and the claim going to trial in January to March 2016, which was in fact nearly three weeks quicker than the same period in the previous year, but still a significant period of time to be waiting and incurring costs. Small claims came to trial on average 32.2 weeks for trials in January to March 2016, a small decrease of 0.2 weeks on the same period in 2015. 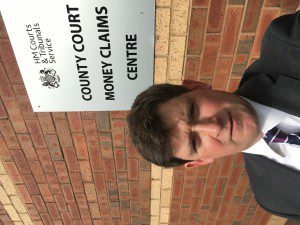 This is not surprising when you consider in January to March 2016, courts dealt with around 437,000 claims, up 10% on the same quarter in the previous year, driven entirely by an increase in specified money claims (up 16% over the same period). In the same period, both the claimant and defendant had legal representation in 56% of all defences, similar to the same quarter last year. Neither the defendant nor the claimant had representation in 17% of defences (compared to 19% in the same quarter last year). Both claimant and defendant are more likely to have legal representation for unspecified money claims, where 97% of all claim defences have both parties represented. As an alternative to the “law’s delay” and to keep control of costs of you are legally represented, we can set up a mediation and try to resolve your dispute much quicker, assuming both parties agree. If you are not legally represented, you can still mediate and try to redress the balance.